A Missouri school district issued a letter to parents last week, informing them of another student's transgender status and asking fellow students to avoid bullying. But did the district violate federal law in the process? Last week, school district administrators outed a transgender child in Raytown, Mo., to her entire elementary school. 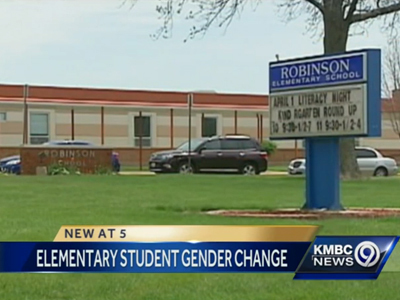 Parents of students at Robinson Elementary School received a letter Friday informing them that one of the students — formerly known as Adam — was transgender, and would be returning to school as a girl who wanted to be known by a different name from that point forward. The letter also included a note apparently intended to discourage bullying, reminding students to treat everyone "as they would like to be treated," according to Kansas City's KMBC. Under the Family Educational Rights and Privacy Act, a federal law protecting the privacy of a student's educational records, schools are prohibited from releasing portions of a student's records without consent of the child's parents. Schools are allowed to release "directory" information — defined as a student's name, address, telephone number, date of birth, and attendance records — without the consent of a parent, so long as the school gives the student's parents warning, providing an ample opportunity to request that this information not be released. While a student's name may fall under the category of "directory" information, it's not clear whether the student's gender — which many consider part of a person's medical history — would fall under that headline. It's unclear in current reports whether the student's parents were working in cooperation with district administrators regarding the release of this information. KMBC interviewed a number of district parents, all of whom seemed to support the trans student. "I am surprised it happened at the elementary level," parent Leon Morgan told the Kansas City news station. "Yes, I am. But, freedom, freedom." "I don't know what to think," Leah Yzagguire added. "I think it's kind of sad. I think they're a little small, but I really don't know. I just tell my kids to make sure you're nice to everybody." Whether or not the school acted within the confines of FERPA and with or without parental consent, the student has been outed to a large group of people. Only time will tell whether or not this method of disclosure will reduce or exacerbate issues like bullying, which upwards of 80 percent of trans students report experiencing from peers on a regular basis, according to a 2011 survey from the National Center for Transgender Equality.